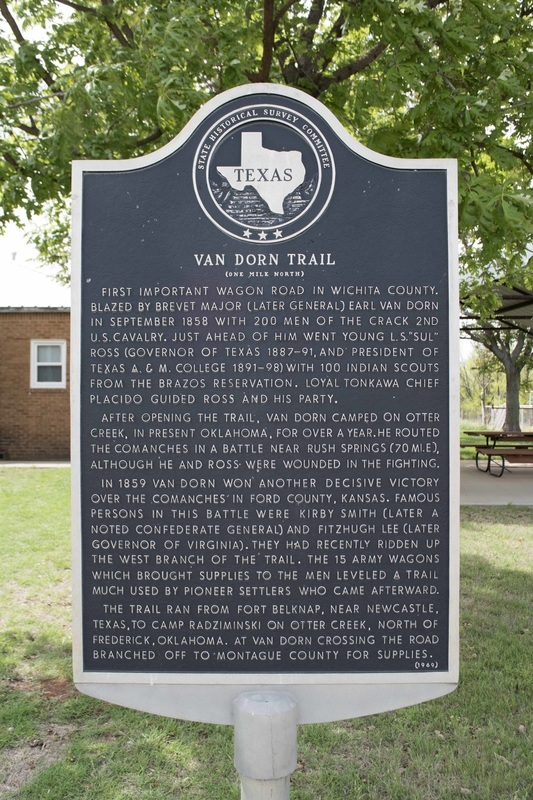 First important wagon road in Wichita County. U. S. Cavalry. Just ahead of him went young L. S. "Sul"
Placido guided Ross and his party. although he and Ross were wounded in the fighting. much used by pioneer settlers who came afterward. branched off to Montague County for supplies. The marker is located next to a church building on the corner of Farm Road 1206 and Arkansas Lane, off Highway 258 West. GPS coordinates thanks to Google Earth: 33-degrees 52' 17.17" North, 98-degrees 45' 48.56" West.